You can really tell how much milder last winter was than the previous one by the fact that the spiked tyres only got used once (though really should have been at least one more time to avoid terror!). 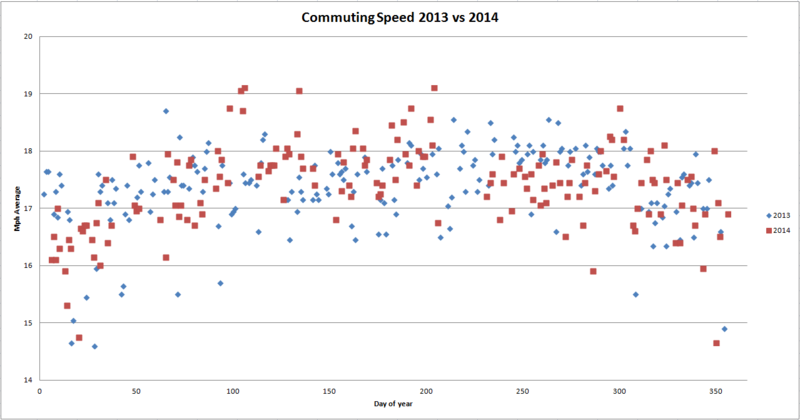 I have also been collecting my average commuting speed (combined moving average of going in and coming home) for the last couple of years. Not sure what it means, apart from that a TI bike won’t double your speed. However, I think this year I’ve been taking slower, but more pleasant routes, so it’s definitely not slower.